I’m one of those few where a mascara will run and create panda eyes no matter how waterproof it is. I’ve tried an incredible amount of waterproof mascaras (I can never buy one that isn’t waterproof) and feel like I can safely say that no traditional waterproof mascara are foolproof on my face. 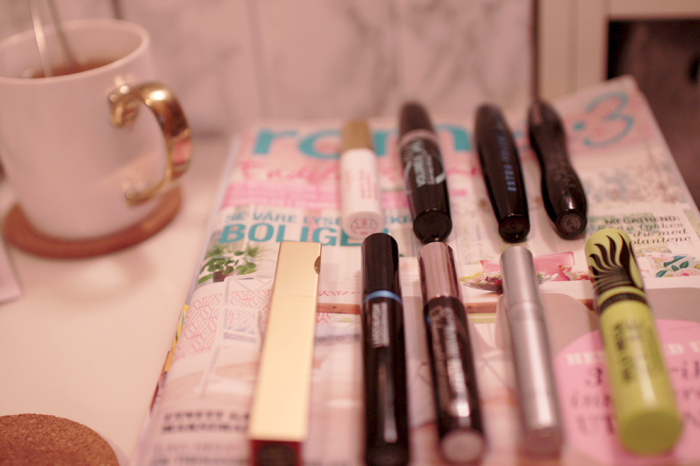 Yes, I own a few of the Japanese ones that are famous for their super-waterproof mascaras (Heroine make pictured above) and they are far superior compared to their western siblings, but still they smudge some at the end of the day. 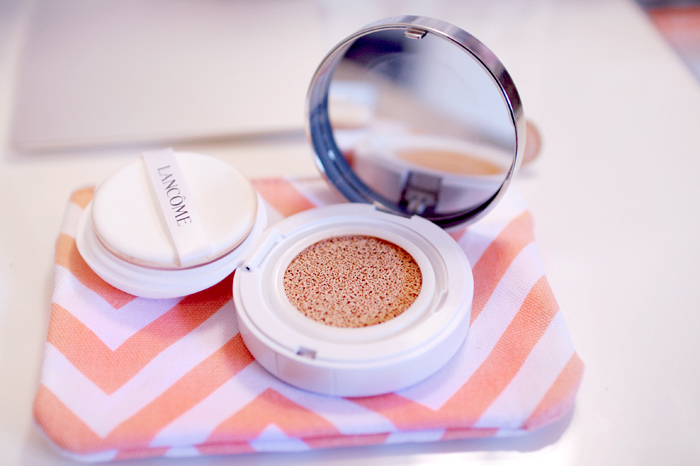 I’m looking for one that will leave my under eye area just as radiant as when I put my makeup on in the morning, not even a little smudging is allowed. In addition as I have fairly long but not very thick lashes, so I want some super oomph volume as well. I know I’m asking for a lot from my holy grail mascara; complete waterproofness that will be foolproof on my face + super volume. I may not have found a single mascara that is the one yet, but I have found some combinations that give me exactly what I want even if it takes a little more effort. Isadora Volume & Curl Super easy removal. 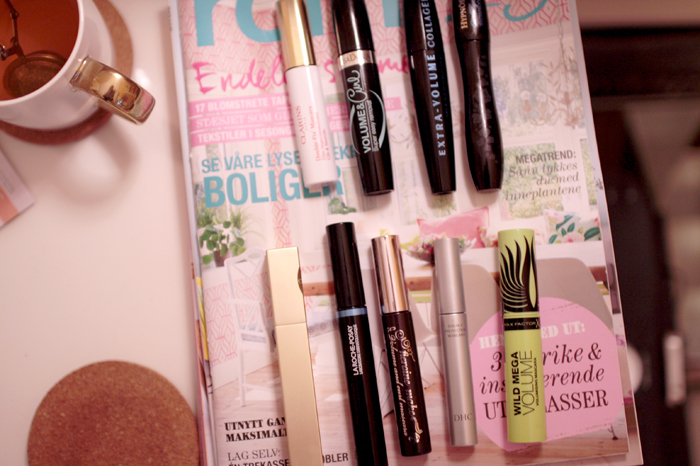 On an everyday basis at work where I need my mascara to stay smudgefree the whole day, I’ve found that tubing mascaras are the best (google if you haven’t heard of them before). They truly don’t smudge on me at all – at all! BUT, they’re not great at volume and in addition always weigh down my curl and make them stick straight. Not a great look. I might as well not put on any mascara! I could have ignored the no-volume part and lived with it as no smudginess is more important, but making my curled lashes straight? That’s a huge deal breaker. Tubing mascaras are also hard to come by as they’re not very well known yet, but I’m sure companies will bring out more and better ones in the future as more people will realise how awesome they are and bring demand. In the meantime I will keep using the only tubing mascara I’ve found so far that doesn’t make my lashes straight! Isadora Volume & Curl Super easy removal mascara is my babe as it doesn’t weigh down my lashes too much and will guarantee a panda eyes free face. 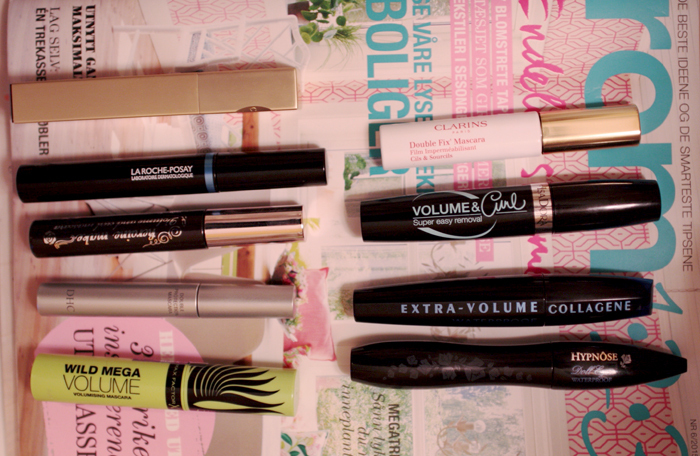 Loreal Extra-Volume Collagene Waterproof and Clarins Double Fix’ mascara. 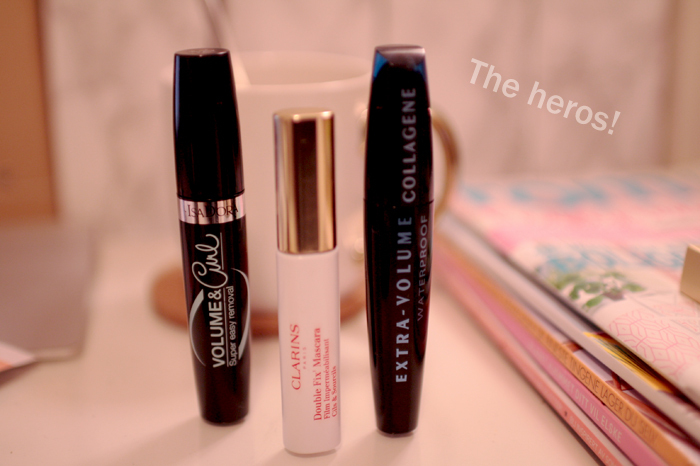 For sumptuous volume + keeping a sky high curl + guaranteed waterproof I bring out the big guns aka Loreal Extra-Volume Collagene Waterproof and Clarins Double Fix’ mascara. The Loreal one is the very best at fluttery, intense volume and no clumps (Lancome Hypnose Doll Eyes Waterproof comes close, but isn’t as great) and the Clarins one creates an invisible seal on top that seriously keeps everything in check. The best thing is that you could use any mascara with Clarins Double Fix’ on top an it will be waterproof. And remember, always curl your lashes first. My sister likes these mascara so much, she loves it very much,I will definitely gift her this on her birthday.